Will Strozier came to the partnership of NIEUW Group from a very different background. His business career started in real estate development, where he rose to a senior level executive. Will’s nuanced understanding of commerce, negotiation and regulation has been an invaluable part of what has made this group a success thus far. Robert Zahn has been in the hospitality industry for the better part of his life. He was raised in a household of a family who owned restaurants and attended college and pursued a master’s degree, all the while paying his way through a series of hospitality jobs. Rob has seen every side of this industry from the very bottom to the top; he has walked in the shoes of all of the people that he now employs. My co-owner Rob Zahn has been in the hospitality industry since he was a kid. He worked his way throughout college and a masters degree by bartending, serving and managing. He is a veteran in the industry and knows every aspect of how to run a restaurant. I, on the other hand grew up in the Real Estate industry. I never worked in a restaurant until deciding to enter the hospitality industry with our first endeavor being Manhattan Proper in May 2012. Tell us about NIEUW Group. What inspired the idea and what is your vision for your restaurants? In 2010, Rob and I came together in a partnership with ideas about redefining all that a hospitality group could be. We eventually founded Nieuw group, taking the name from the original settlement of Manhattan, Nieuw Amsterdam. While this name salutes the New York roots of this venture, it also pays homage to the values and traditions of what has become, in many ways, the capital city of the world. This is a system that connects profit with quality and success with accountability. What strategic partnerships/marketing strategies have you implemented that have attributed to NIEUW Group's success? We have an in-house marketing and sales team which never lets up on the phones. Local corporate outreach is a major part of our business strategy. Adapting to the times is something in which we find very important in every aspect of this business, and in turn, a tremendous amount of effort is put into social media. We've seen brunch hit New York in a major way, and have decided to launch a new brunch menu which we started implementing this past weekend. We are always listening to what our customers want, and we make changes according to their needs. Your greatest success as owners of NIEUW Group? Most difficult moment-how did you overcome and what did you learn? Our greatest achievement to date has been opening two restaurants and watching them become successful and profitable in areas with tremendous competition. In this business every day has its difficult moments and it's about how you handle them that determines your success. I think that everyone should aspire to do what they're passionate about in life. My advice would be to ignore those that try to get you to settle, and when you hit road blocks, smash through them. 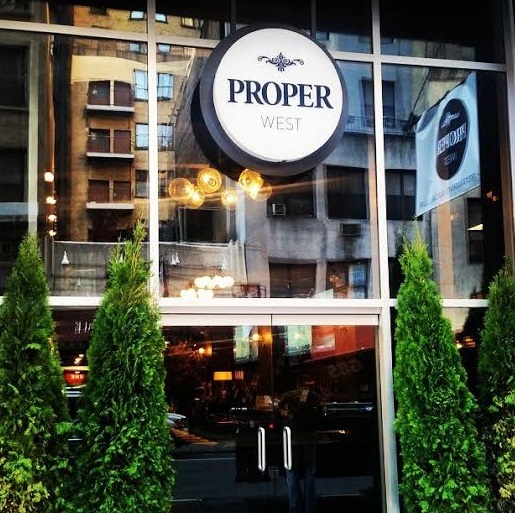 Describe the ideal experience at Manhattan Proper and Proper West. 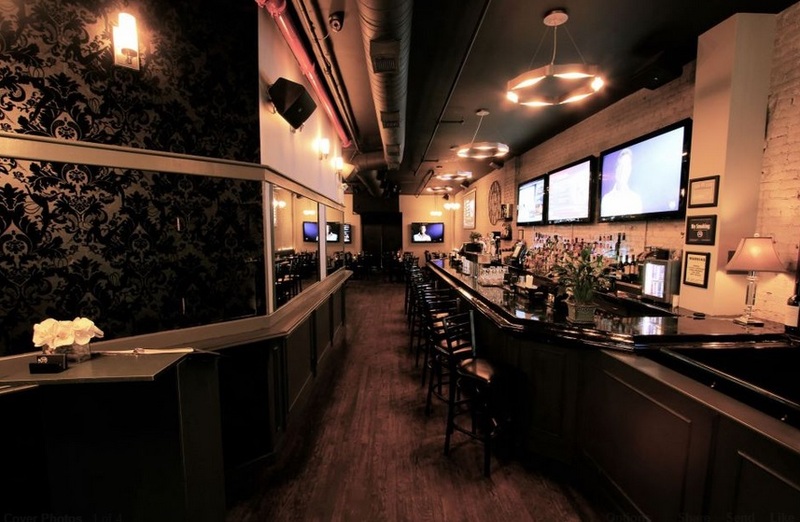 The great thing about our restaurants is that they have something for everyone: Huge tv's and state of the art sound systems for those who love sports; great cocktails and wine lists for those who are looking to grab a drink and catch up with friends; and a chef-driven menu for those who want to come in and enjoy lunch or dinner. Thursday, Friday and Saturday nights, we are the perfect place for a night out. Our DJ's are some of the best and well-known in Manhattan and the energy in the bar area is unlike anything else in midtown or Tribeca. We have an ever changing menu with locally sourced foods. Can't go wrong with the Proper Burger or for those looking for something a little different, I'd try the Moroccan Chicken. There's a real sense of community within the restaurants and our employees actually like being there. When the energy with the staff is good, it translates to the customers. Last food and drink on earth: Oysters and lemon san Pellegrino… I don't think it's possible to ever get sick of either one of those things. Ha! I'm currently reading the newest Malcolm Gladwell book but my favorite author of all time has to be Kurt Vonnegut. I got to meet him while he was still alive and I don't remember ever being so star struck. He is a huge inspiration to me. My personal role model would have to be my older brother because he has always done exactly what he wanted to, and never let anyone tell him that he couldn't do something. Living in hawaii, surfing every day and running a successful business… Life doesn't get much better than his. He's always worked smart, never hard, and it allowed him to travel the world twice over and still wear a Rolex. Professionally, my biggest role model is Danny Meyer because he understands this business and the hospitality industry like no other. When he takes on a project it's done right without cutting corners and it shows. Exactly the reason Shake Shack is trading $40 up from it's IPO. Current passion is all about the business. We live and breath this business 24 hours a day, 7 days a week. Rob is currently traveling through Italy right now. He went to Milan, Florence, Rome and Tuscany. I think he's a big fan of Europe, while I'm much more into going anywhere Tropical. Hoping to make it to the Maldives before it's completely under water. What’s next for NIEUW Group? Nieuw Group is looking to expand as quickly as we can, while still maintaining quality in every aspect of the business and never sacrificing on service. We are hoping to take over a big hotel in Times Square’s living room bar in late summer and have two more places open by July 2018.